Leading legal scholar warns Israel has greater legal claim to Judea and Samaria than Golan because of the British Mandate. 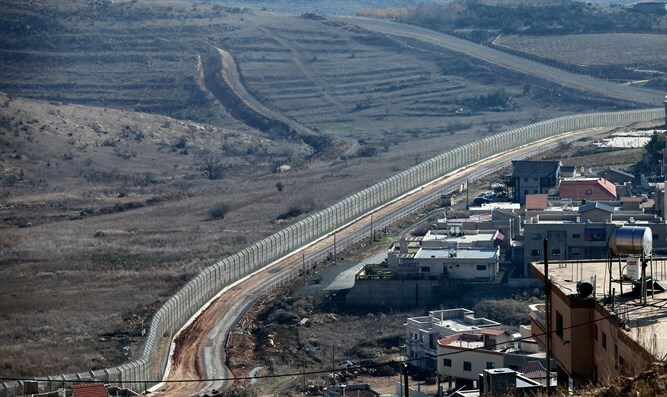 Professor Gavriel Halevy, a member of the Faculty of Law at Ono Academic College, warned that the application of Israeli sovereignty over the Golan Heights was more complicated in certain ways than the application of sovereignty over Judea and Samaria. Halevy, a legal scholar who has written about 40 books and whose opinions have influenced government policy, noted that in Israel's declaration of independence, Israeli sovereignty was declared over all of the former British Mandate, which did not include the Golan Heights. "When we talk about the application of sovereignty, we will leave aside the political and social considerations, first of all a purely legal question - which law applies? The UN partition plan has no legal validity, since only one side agreed, and the other refused. With the departure of the British forces, no orderly transfer of government was carried out. When the last soldier folded the flag, there was no sovereign in the area. According to international law, such an area is called "terra nolios," an area without a sovereign," Halevy explained at an academic session of the "Adam and Earth Center", the research institute of the Regavim organization, which held a conference at Ariel University Thursday. "When Ben-Gurion declared the State of Israel, he was the first sovereign to occupy the territory, and the declaration refers to the entire territory of the British Mandate, which includes all land to the west of the Jordan River. The Jordanians applied Jordanian law in Judea and Samaria, despite the fact that under the Geneva Convention, they must act in the field as a conqueror and apply the law that existed on the eve of the occupation. "In 1967, physical control was restored to the hands of the IDF and the State of Israel. The first military manifesto gave continuity to the current law in the region, although it could be declared to the same extent that the State of Israel continues its sovereignty in the area according to the Declaration of Independence. "All the political agreements that have taken place since then do not refer to the application of sovereignty, but rather to the areas of control and authority of the military commander, which means that there has been no change in sovereignty since then. "According to this, the legal situation of Judea and Samaria is better than that of the Golan Heights, which was not part of the British Mandate, and is thus very a problematic situation," he concluded.